We all know one … the couple that can’t seem to move past divorce. The pair clings on to the emotional connection, even when it is self-destructive. There’s a term for this. Psychologists refer to them publicly as ‘undifferentiated spouses’. Privately they talk about the couples from hell. 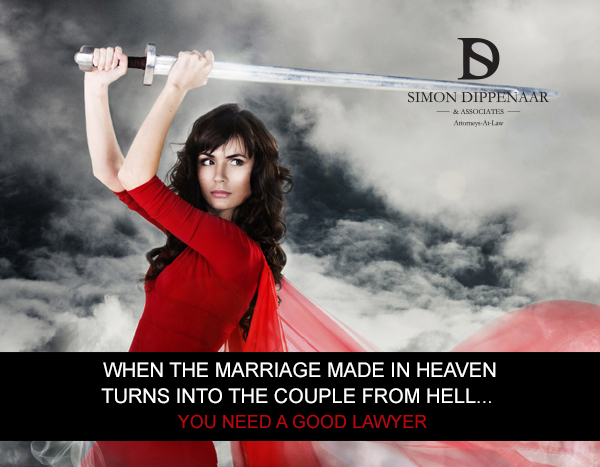 Couples from hell argue endlessly throughout the divorce process but never reach agreement. They go round and round in circles and seem to derive a perverse pleasure from disputing. For them, a negative connection is better than no connection at all, so the longer they can prolong the process of separation, the longer they can maintain the emotional connectedness. This ‘emotional marriage’ can make it extremely difficult to conclude the legal divorce. Some couples even remain emotionally married long after divorce is finalised. There are various reasons why couples stay locked in combat, even after deciding to divorce. Sometimes one partner doesn’t want to let go and drags the other into an endless round of conflict, just to keep them close and delay the inevitable split. This can happen when one person wants the divorce more than the other. But more often both parties are equally attached to the relationship and despite their shared misery find it hard to move on. These couples identify so strongly with each other that they can’t imagine life without the partner, even when life together is wretched. They are ‘undifferentiated spouses’ because they don’t know where one person stops and the other begins. Their identity and sense of self is intertwined with that of their partner and of the relationship. They think as ‘we’, not ‘I’. Couples from hell not only inflict suffering on themselves, they create an unhealthy environment for their children. Unclear boundaries, poorly scheduled co-parenting arrangements, tension and acrimony during ‘handovers’ … these all contribute to a child’s feelings of insecurity and uncertainty. Children may experience conflicted loyalties and confusion. They may blame themselves. They certainly won’t understand what is going on and may imagine all sorts of scenarios that are more frightening than the reality. Clear communication with children is critical but it is far more important to avoid this damaging behaviour in the first place. But how? The divorce attorney is not a therapist. If a couple or spouse is clearly in need of psychological counselling and support then appropriate referrals will be made. The lawyer’s role is to effect the legal split. But a good divorce attorney knows that emotions run high, even in the most straightforward of divorces, and is sensitive to the relationship dynamics of the divorcing couple. A lawyer skilled in mediation techniques can lower the temperature and resolve conflict strategically between a couple. If the divorce is uncontested or mediated, the likelihood is that one attorney will act for the couple together. This allows the lawyer to act compassionately towards both spouses and intervene between them to reach agreement. However, if the divorce is contested it is more likely that two lawyers will be involved and the atmosphere will be rancorous. Is there anything these lawyers can do to defuse the situation? Yes there is. Good lawyers will ensure clear division of marital assets; appropriate and fair financial arrangements; and agreed access and parenting schedules. Good lawyers will stay calm and help the clients establish boundaries and move towards closure. They may not be counsellors or therapists but they will be skilled in helping clients to uncouple and recover their own sense of autonomy … and ultimately to begin a new life post-divorce. Very few people come out of a divorce completely unscathed. But it is possible to come out ready to face the future. A sympathetic lawyer will make sure of this. If you need help breaking the cycle, speak to Simon today. This entry was posted in Divorce. Bookmark the permalink.